There should be a 500 + star rating for Kristina and her team. It's not often you meet and become involved with such a professional and talented group of people. I only met Kristina once, just under a year before our wedding which was at the end of June this year and I knew instantly that she would be great. Even so she surpassed our expectations and created a wedding day which was magical. I'm not very organised nor creative but Kristina helped me in the right direction on all the arrangements for the day to make it a breath-taking occasion. It was seamless and not once did I have any stress on the day...the team doesn't allow you to do that as they are so good! Dubrovnik is the most fabulous city and every one of our guests were captivated by the place and were amazed by the day. If anyone is thinking about getting married abroad then Dubrovnik is the place. It delivers everything; perfect setting, food, wine, culture, beautiful venues and so much more. More importantly, DLW will make sure that you get the best from your wedding in this astounding place and you have the most wonderful day of your life. If only I could it again........same husband! I can't thank Kristina and her team enough. 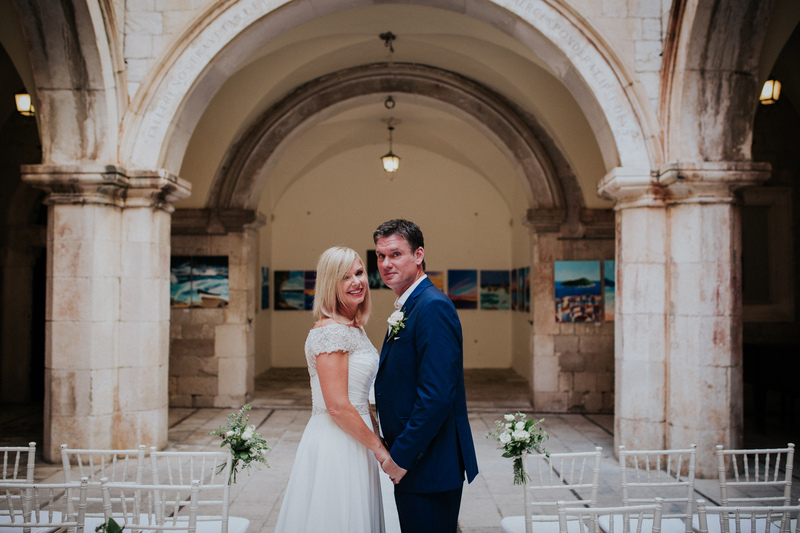 We got married 3rd July in Sponza Palace, Dubrovnik with the reception at The Spinaker Lounge, Cavtat and it couldn't have been more perfect, which is due to the care and attention taken by Ana in the planning. We honestly can't thank her enough for making the day so special and exactly as our vision. During the day Ana was always on hand to make sure everything ran absolutely smoothly, but she was always discreet and unobtrusive. 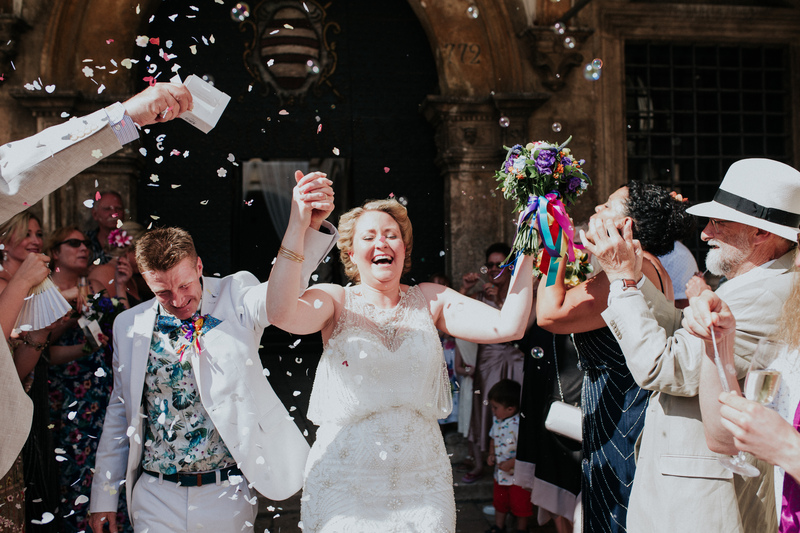 We got married in Dubrovnik in July and it was everything we had hoped for and more. 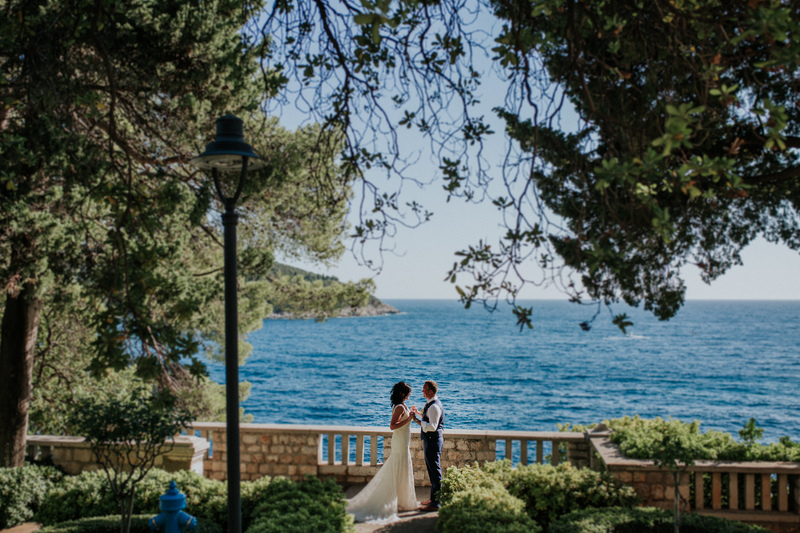 The team at Dubrovnik Luxury Weddings were so helpful in the months leading up to the wedding and paid attention to every little detail to make sure it was exactly as we had hoped all whilst sticking within budget. The day went so perfectly and I can honestly say we owe a lot of that to the team at DLW. 6 months before the wedding our contact changed to Maris, which was concerning as a lot of the original planning was with another planner but we had nothing to worry about, she picked everything up so seamlessly and was amazing on the build up to the day in all aspects and so brilliant on the day itself. We are so grateful to Maris and the team for all the work that went into our day and would highly recommend.